This is a belated roundup of my visit to Berlinale last month which took place between February 7-17. It was my fourth visit to the festival, and what makes Berlinale stand out for me compared to the other film festivals I attend are the cinemas. Cinemas like Kino International, Delphi Palast, Zoo Palast, Zeughauskino, Arsenal. Even multiplexes like Cinemaxx and Cinestar rate high compared to multiplexes I’m used to. As for the films, it felt like a slightly less calibre of (new) films compared to last year, but I did see a few that will end up in my favourite films of the year. It was Dieter Kosslick's last year as Festival Director after 18 years, so expectations were high. But with an opening film like Lone Scherfig’s The Kindness of Strangers which was an underwhelming start for the festival and Fatih Akin’s much anticipated The Golden Glove which repulsed most viewers, it felt like the Competition section wasn’t going to offer us much to hold on to. But things started to look a bit bright for the Competition section in the second half of the festival where two unassuming films stood out for me. Angela Schanelec’s I Was At Home, But… is the kind of film that you get absorbed in without knowing exactly what is happening. About a mother and her two children, it’s a film that is filled with moments of grief, anger, nature, Hamlet, art, authenticity and hands touching. It’s a film I can’t wait to see again. Joanna Hogg’s The Souvenir about a young film student Julie (Honor Swinton Byrne) set in 1980s England and how she navigates her love life, her family life, her privileged upper-middle-class life, and making films to break out of her sheltered bubble to better understand the world. It’s a film that looks like it was made in the 1980s, Julie reminded me of Molly Ringwald’s characters in films like Pretty in Pink, Breakfast Club and Sixteen Candles. The film is funny, bittersweet, and I loved every minute of it. The best part is finding out from the end credits that there’s a The Souvenir, Part Two coming soon. It’s becoming a continuous pattern where most of the films I see at Berlinale are from the Forum section. This year’s edition had quite a few stand outs for me. Fourteen by Dan Sallit is a film that I managed to watch twice when I was in Berlin. 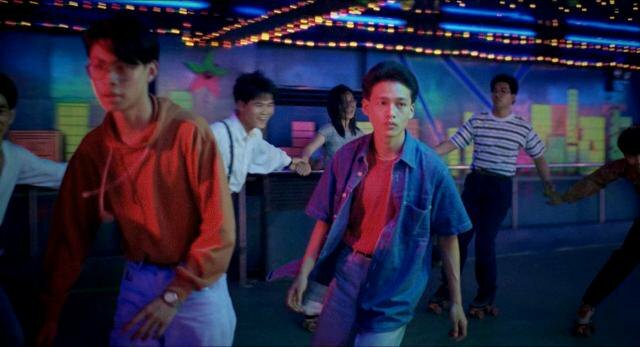 A film that slowly drew me into its rhythm and storytelling about friendship and drifting away from it. It’s so well crafted, so much is expressed in small gestures and the passing of time which is wonderfully subtle. 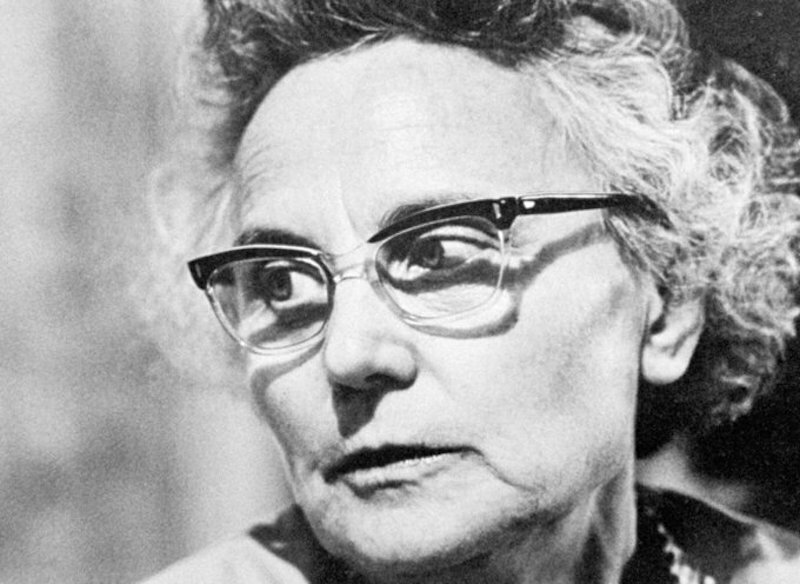 Ms Slavic 7 by Sofia Bohdanowicz and Deragh Campbell is about a young woman (Deragh Campbell) researching letters sent between 1957 and 1964, from her great-grandmother, Zofia Bohdanowiczowa, a Polish poet to Józef Wittlin, a renowned Polish author. ”...everyone has sadness in themselves”. It’s a delicate, melancholic and emotionally raw film about family history, memory and legacy. Burak Cevik’s Belonging (Aidiyet) is a genre defying thriller. It is mysterious and haunting, with visuals that draws you in. There’s a breakfast scene in it that goes on for a few minutes where you only see the hands and the food and hear the conversations between two recent lovers, a man and a woman. I loved that scene. Wish I had an image of it to share it here with you. The Forum section also included a selection of old films, two of which were on my wish list for many years. Bette Gordon’s Variety on 35mm and having her present for a post screening discussion was an wonderful bonus to the evening. A funny, radical, timeless film and director. I had never seen a Bela Tarr film before, and this February was the 25th anniversary of his film Satantango, which premiered in Berlinale's Forum section in 1994. The restored version of the film was screened almost on the same day and in the same venue too, at the beautiful Delphi Palast. Satantango is 8 hours long, and Bela Tarr was there himself to introduce the film, and he stayed to watch the it with us. During the introduction he asked if we’re sure we want to spend 8 hours watching his film. I shouted YES. The discussion after the film was fun and feisty, urging young filmmakers to make films and not wait for permissions or approvals, the right equipment or even money. He said make films with the existing smart phones which almost everyone has in their pockets, but just keep making films, it’s the only way to learn how to make films. It was also quite moving to see how touched he was seeing a full house that watched his very special and unique film. The Panorama section celebrated 40 years this year and there was a special Panorama 40 section which included films from past editions. I watched two films from this section, Lady Chatterley by Pascale Ferran from 2006 and Rebels of the Neon God by Tsai Ming-liang from 1992. Both gorgeous and sensual. 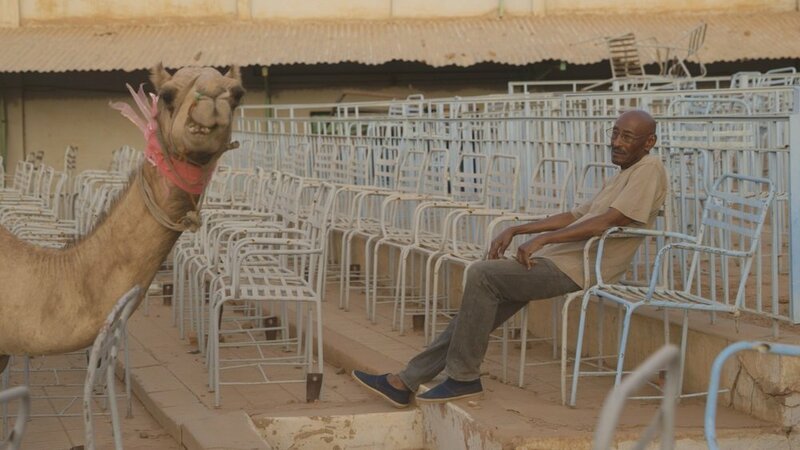 As for the new films in the Panorama section, the stand out was the Sudanese documentary Talking About Trees by Suhaib Gasmelbari. 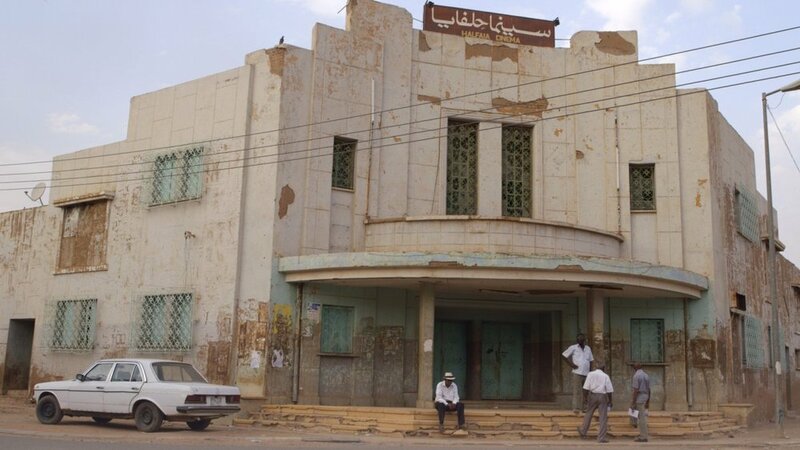 A bittersweet look at the lost heritage of Sudanese cinema and the four men trying to bring it back amidst bureaucracy and autocracy. Resistance in the form of optimism, humour and sarcasm. It won the Audience Award and this will no doubt win hearts and a growing following wherever it screens. It also had the best animal featured in films at the festival this year. Check out the camel with the pink neck scarf. No animal presence in this year’s Berlinale could beat that look. The Hommage section was dedicated to Charlotte Rampling this year and it was wonderful to see a selection of films from different periods of her career, although I would’ve preferred to watch them in chronological order, to see how she got better and older with each of her films. She’s quite a unique and brave actress that has embraced so many characters in her acting career. The Verdict on a flawless 35mm was one of my highlights from this section. I also spent a lot of time watching films from the Retrospective section, this year’s edition was titled “SELF-DETERMINED. PERSPECTIVES OF WOMEN FILMMAKERS” which focused on German women filmmakers between 1968 and 1999. There were so many wonderful discoveries for me from this section. Strong, feisty and non-apologetic films addressing a variety of issues from a female perspective that resonated with me. Do Right and Fear No One by Jutta Brückner from 1975) is a portrait of the director’s mother’s life between 1915-75 told through photos by August Sander and Abisag Tüllmann. “You only realise how to live when it’s too late.” Touching and devastating. The All-Round Reduced Personality - Redupers by Helke Sander from 1978 is about artistic integrity and compromise about Berlin (or any city for that matter) through photography. Art as window dressing vs critique and cultural commentary. I loved it. Never Sleep Again by Pia Frankenberg from 1992 is about 3 girlfriends who are invited to a wedding on a riverboat in Berlin. After cutting short their time at the wedding, they explore the city, including East Berlin. It’s a film about friendship and adventure in a city and navigating its recent history. 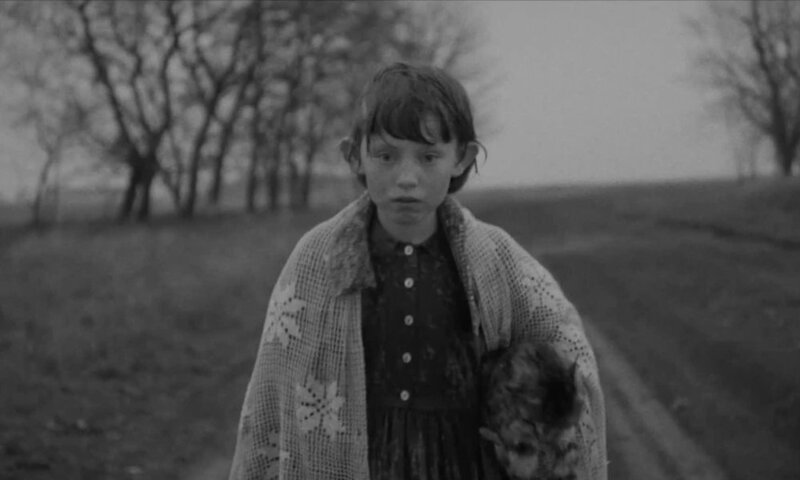 I started this post with a film by Angela Schanelec and will end it with another film by her too, My Sister’s Good Fortune from 1995. A love triangle between Ariane, Christian and Isabel. Christian falls in love with Ariane’s sister Isabel, Ariane doesn’t want to lose Christian. It’s a film of moments and the passing of time (just like I Was At Home, But…), and what happens during this time. The film doesn’t depict a love triangle drama, instead we experience the anxiety, the melancholy and the sadness of waiting till things get better for all of them.